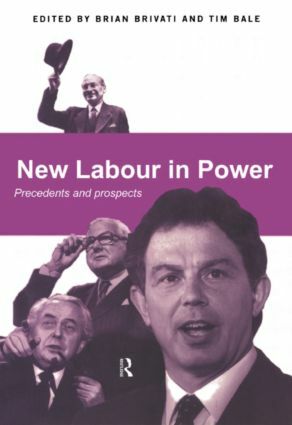 New Labour in Power combines historical, political and practical approaches to the questions raised by the Labour election victory. Addressing core themes such as Europe, the economy, welfare, education, and the constitution, this volume provides an assessment of the new era. This book explores Blair's victory through its historical context and the words of contemporary media commentators, journalists, economists and politicians. This book includes much-needed analysis of the current state of the party and invaluable insight into longer term trends.